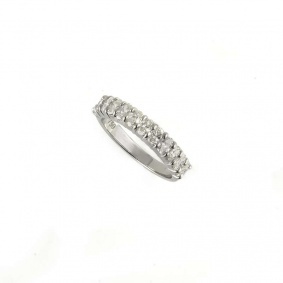 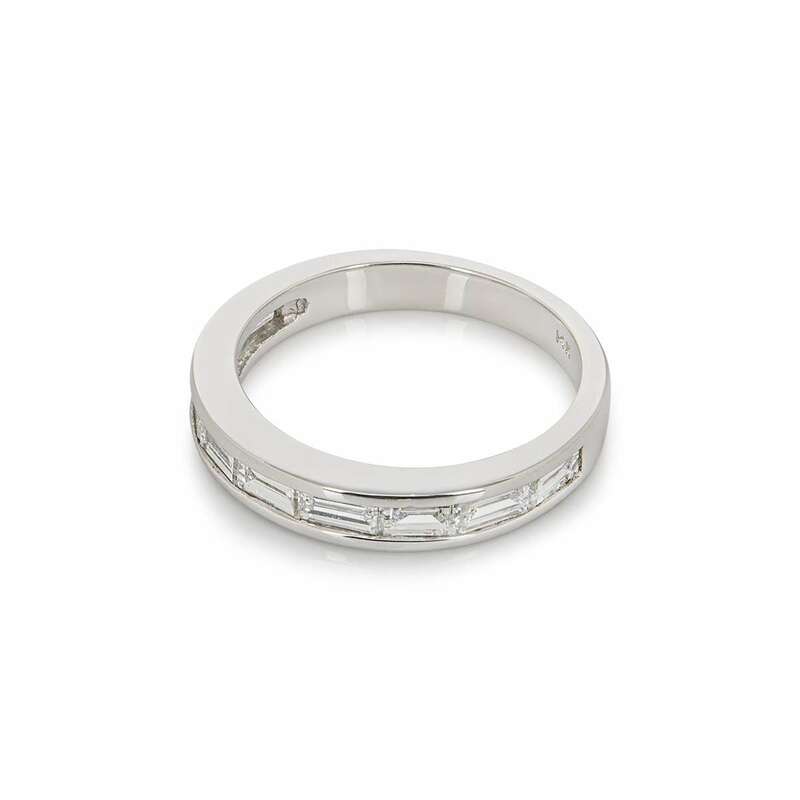 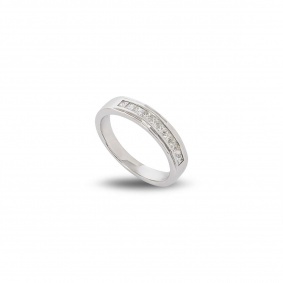 A stunning 14k white gold half diamond eternity ring. 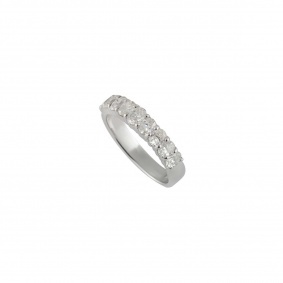 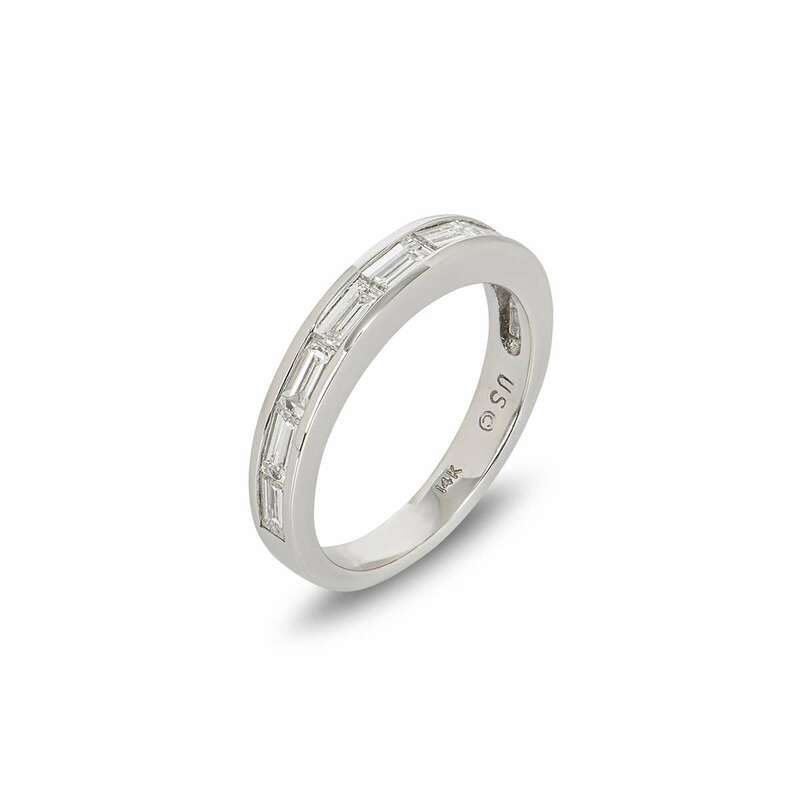 The ring comprises of 9 baguette cut diamonds in a channel setting with a total approximate weight of 0.36ct. 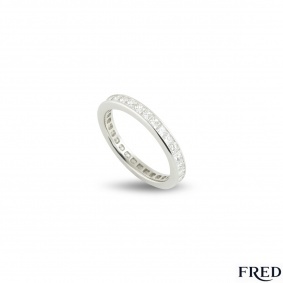 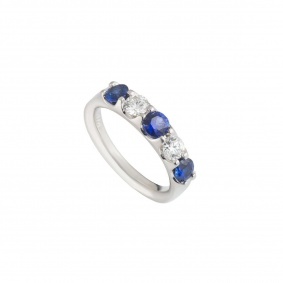 The ring is a size L½ but can be adjusted for a perfect fit. 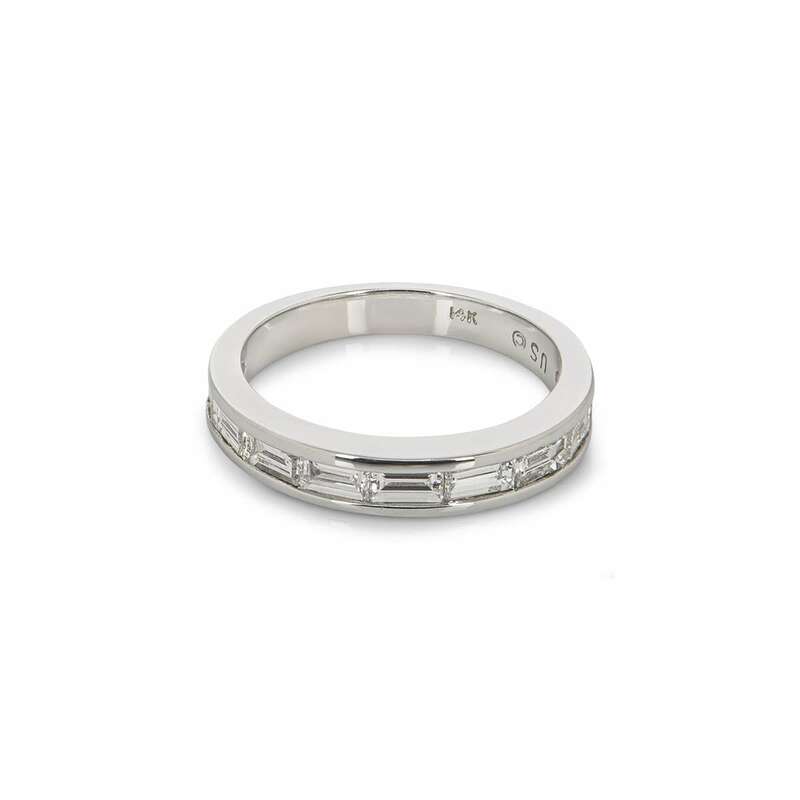 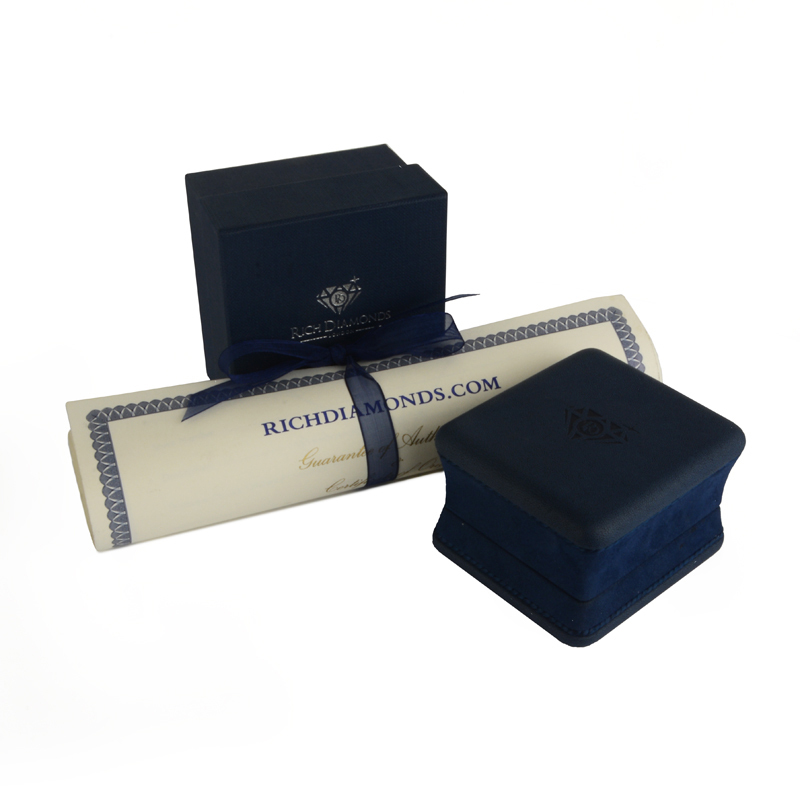 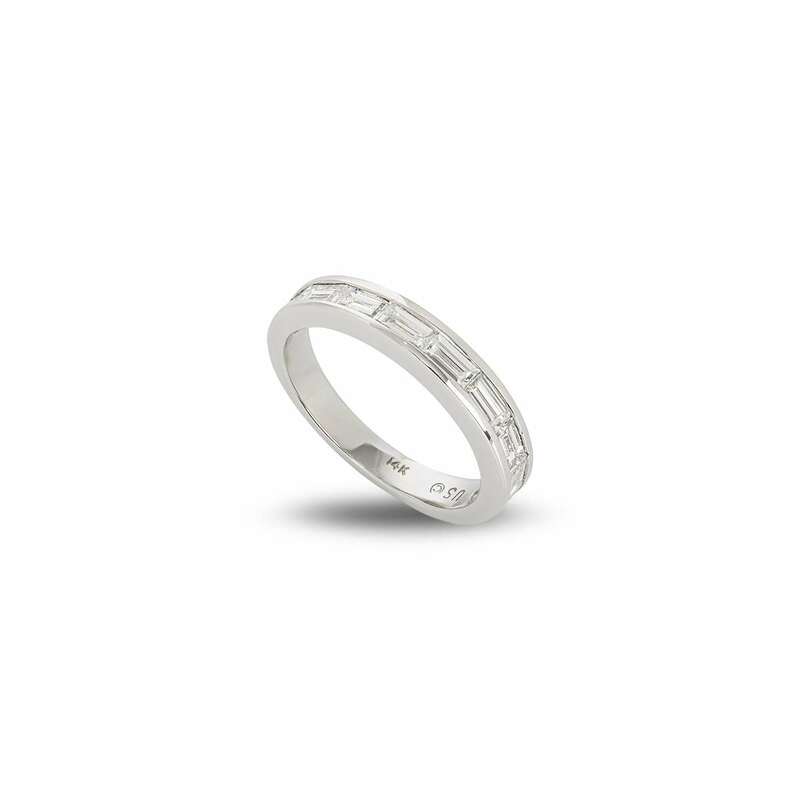 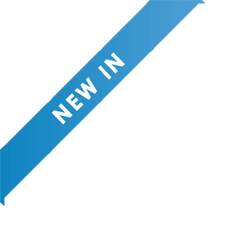 The ring measures 3.00mm in width and has a gross weight of 3.20 grams.